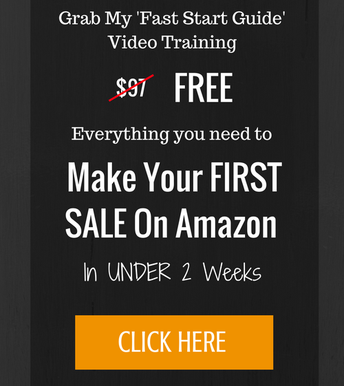 Get The FREE 'Fast Start Guide' Course HERE! How would it feel to start a business with no money and be able to generate revenue? This isn't as ludicrous as it sounds because this is exactly what happens when you start an eBay business. I'M GOING TO SHARE WITH YOU HOW I MADE A FULL-TIME INCOME SELLING ON EBAY. In today's episode, I share with you all the details on selling on eBay. From selling on eBay, I was able to make over £50,000 in 4 months using the exact strategies that I share with you. You can start selling on eBay with no money and start generating revenue. Selling on eBay is a great way to start an online business if you don't have the money to start an Amazon based business. Today, I want to talk to you about a little business I had been running a few years ago on eBay. In four months, I generated £50,000 selling on eBay. I want to give you all the insights I learned from starting that profitable business. But before we begin, I want to warn you though, I wouldn’t recommend doing this as a long-term business. The reason I’m sharing this business idea with you today is that sometimes it can be quicker to begin than Amazon FBA. I will give you everything you need on how to make money on eBay. Starting looking for products around your house that you can start selling on eBay. I almost guarantee you that you have £2,000-£3,000 worth of items lying around your house that you can sell. You could list these items right now. What would you do with an extra £2,000-£3,000? You can launch a private label product, or start an Amazon business. The options are endless. Search your house and grab everything you’re not using anymore. Anything you’re not using put into a pile. That’s exactly how I got started. I had a joystick I used to plug into my computer as a flight simulator and I wasn’t using it anymore. Eventually, I built up a pile of stuff to sell. I made a few hundred pounds starting and that seemed incredible. 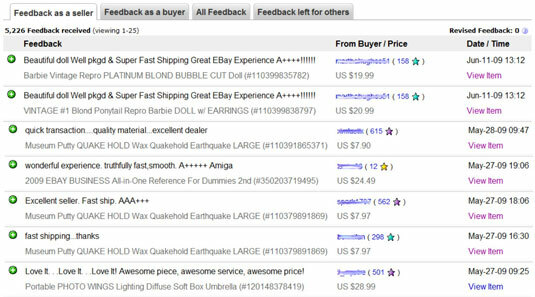 You may wonder how much you should put your item on eBay for or even if it’s worth listing. This is how you figure those questions out. Go to eBay right now. Type something in into the search bar. Go the left and scroll down to the sold listings button, click on the button. You’ll be able to see how much the item has sold for in the past few days. That is valuable information. You’ll understand what types of products has been sold and what price they sold for. It might not be as good as the best-sellers rank on Amazon but it will be good for now. Now that you have the products you want to sell. How can you create product listings that are going to ‘pop’ and sell quickly? When trying to create a listing for your product on eBay, you may be tempted to rush it. If you spend a little more time creating your listing, you’ll be able to make more profit and give yourself more chances that your product will sell. eBay isn’t like Amazon. On Amazon, you share your listing will other people. On eBay, everybody has their own listing for their specific product. If you get customers looking at your listing, they are only go to see your product at your price. This allows you to price your item high if you’ve optimized your listing well. When first creating your listing, make sure the title is a keyword that potential customers would type in. Take photos of the items you're selling because customers want to see an actual photo of the item they’re buying. Make sure you write a great description, using loads of keywords, i.e. condition of the item. You’ve gone from making no money to generating revenue for your business. Within a few days or weeks most of your products will have sold. With your cash on hand, what should you do next? You’ve probably run out of stuff to sell now, but where can you find more stuff to sell? eBay isn’t like Amazon, you don’t have to sell brand new products. To find products you can to yard sales, charity shops, secondhand stores, craigslists, essentially, you can look anywhere to find products. With any product research, the key is consistency. You’ll want to do an hour or two of product research every single day. You’ll find bargains you can flip on eBay if you continue with it every day. Sooner or later, you’ll develop an eye for the right type of products to sell on your account. If you’re consistent, you’ll really be able to generate revenue from your eBay account. The way I made my eBay business successful is I went after it. I put as much time as could into it and listed as many products as I could as quickly as I could. This allowed me to fail forward, learn from my mistakes and continue to get better. I believe that’s the key to success on eBay. Go out on product runs. You’ll create momentum for yourself with the more products that you sell. Eventually, if you continue to take crazy action, you will generate crazy revenue. My secret was taking as much action as possible. Something you may wonder is, how does eBay’s search algorithm work? You need not know on a technical level but just a broad knowledge of how it works. This allows you to get your items more visible to your customers. eBay’s search algorithm is called Cassini. What Cassini does is try to display the most relevant products that your customer is searching. Cassini looks through a bunch of different criteria to match up a product with what your customer is searching. If I search something on eBay, eBay will look at the listings very quickly and pull up any items relevant to me. It will be products with the keyword I had been searching. Cassini will then order the products depending on how well the seller’s feedback is. If you have bad ratings, you’re more likely to be put at the bottom. Also, items that are lower priced usually get put towards the top. Do everything you can to get your products as high as you can in search rankings. Some of the ways to do this is to offer as fast shipping as possible, the cheaper you can offer your products for, and the more outside keywords you can use for your product will give you a greater chance of selling your product. It should be noted the more activity there is on your account, the higher your products will be put at a high ranking. An example of this is if you do an auction and people keep bidding, your item will be pushed towards the top. Every bid is an action and the more actions on your account, the higher your product will be. Don’t forget that ‘offers’ also count as activity. If you keep tweaking your listings, i.e. changing the description after a week, it’ll help to push your items to the top of the search results. That’s everything you need to know to separate yourself from the rest of the eBay sellers. But first and foremost is to get stock you can sell on your eBay account. Then go into product research and optimizing your listing. Stop what you’re doing right now! Your task for today is to find one product around your house that you can sell on eBay. Ollie is an ecommerce and lifestyle business enthusiast. He's sold over $1,000,000 worth of products that he's never had to touch, pack or ship himself. A persistent disdain towards feeling like he's in a "job" has inspired him to create businesses that are FUN to run. This means leveraging big companies to ship products, outsourcing laborious tasks to a team of VA's and running everything from a laptop. He's passionate about sharing his knowledge with the world and helping people find more freedom through business.